Links House is a boutique country hotel built in 1928. It retains all the charm of that era while featuring modern facilities which ensures a relaxing stay. With only 17 rooms, Links House offers guests a more intimate and less formal atmosphere than that of larger resorts. Links House is a great base from which to explore the surprising and idyllic Southern Highlands. The guesthouse overlooks the prestigious first class Bowral Golf Club, a magnificent backdrop, and a private club which welcomes their guests. 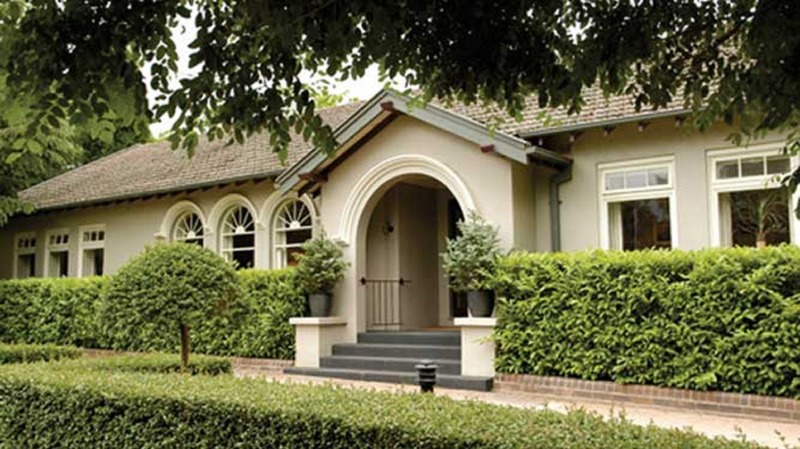 Allow yourself to be lured to the Southern Highlands, where Links House opened in 1928 for city people wishing to escape to a serene, yet sophisticated, winter haven or year round country retreat. An escape to the beautiful Southern Highlands is to experience some of Australia's finest countryside. Luxury suite, family suites and a garden studio are also available. Family Suites have a queen bed in one room and two single beds in another room. There is a dual access bathroom and a small sitting area. Includes a fully cooked breakfast. The suite sleeps a maximum of four guests. Includes a fully cooked breakfast, en suited room with a queen size bed and separate single bed. The Queen Room sleeps up to three guests.